There were 309,701 diesel engines used in Class 8 trucks in 2018. Cummins supplied 118,857, or 38.3%, and had every truck maker as a customer, according to Wards. A year earlier, Cummins earned a 37.7% share with 94,053 of the 249,284 total. 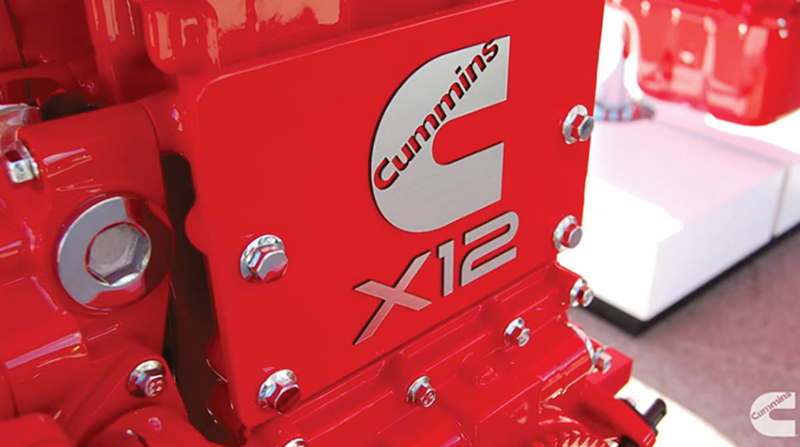 “It’s long been said that Cummins competes against all of its customers. We know they can make diesel engines,” Brett Merritt, vice president of on-highway engine business, told Transport Topics. “Our job is to scale them better, to provide a broad product breadth that they may not have, to give the end customer a choice and to help our OEM customers continue to sell trucks. Our goal at the end of the day is sell trucks,” he said. The figures come from a Wards report on North American factory sales of heavy-duty trucks, including their engines, released Feb. 1. Cummins reclaimed the top spot in the heavier segment for the 12-month period. In that segment, it had a 33.9% share of the total 283,210 used, or 96,105 — its all-time record for the segment in terms of volume, Merritt said. Cummins unseated Detroit Diesel Corp., which slipped to a 32% share in 2018 with 90,827 engines. It posted a 35% share in the heavier segment in 2017. Daimler Trucks North America has two Class 8 engine brands, Detroit Diesel and Mercedes-Benz. MB had 11 engines used in the heavier segment, down from 818 a year earlier. For the full year, DDC had 92,272 engines used, good for the second-highest share at 29.7%. MB had 271 used. Meanwhile, Kenworth Truck Co. and International were Cummins’ two largest customers in the heavier segment — accounting for 35,590 and 30,880, respectively. Kenworth is a brand of Paccar Inc., and International is a brand of Navistar Inc.
Paccar had 34,729 engines used in the heavier segment and 1,742 in the lighter one for a total of 36,471. Ultimately, having more engines used leads to more parts for service and repair, “which typically have a little bit higher-than-average margin,” Armstrong said. At the same time, International and Volvo Trucks North America posted the largest percentage increases in the heavier segment in 2018.
International had 9,172 heavier engines used — up 77.5% compared with 5,167 a year earlier — and 9,464 overall. Its A26 engine, available first in on-highway applications, now is available for vocational trucks, said Steve Gilligan, Navistar’s vice president of product marketing. “We’ve actually doubled the number of engines sold in the on-highway market and are just starting to see growth in the vocational,” Gilligan said. VTNA, a unit of Volvo Group, had 29,468 in all, rising 59% from 18,481 in the 2017 period. Volvo is seeing “strong demand and improved vehicle deliveries [up 35%]” in North America, Jan Ytterberg, Volvo Group’s chief financial officer, said in a recent earnings call. Mack Trucks, also a brand of Volvo Group, saw engines used increase 22% to 22,898 compared with 18,766 a year earlier. At the same time, the number of installed Class 8 engines under 10 liters dipped to 26,491 from 28,479 in 2017. Cummins continued to dominate there with 22,752, or an 85.8% market share. “I think it will still be a fairly large part of the industry; 26,000 engines is still pretty large and a good focus for us,” Merritt said. Freightliner, also a DTNA brand, was its largest customer, with 14,345 engines. Detroit Diesel saw the number of its engines used in this lighter category soar to 1,445 compared with 49 a year earlier. MB engines plummeted to 260 compared with 3,714 a year earlier as it faced emissions-related issues.